• digital journaling with photographs manipulated in Photoshop. Note: Antoinette's recent feature on "The Painter's Keys" popular website (click title above) . . . for an interesting article. Many times photographic images began with mundane subject matter which quickly transpired into challenging compositions. 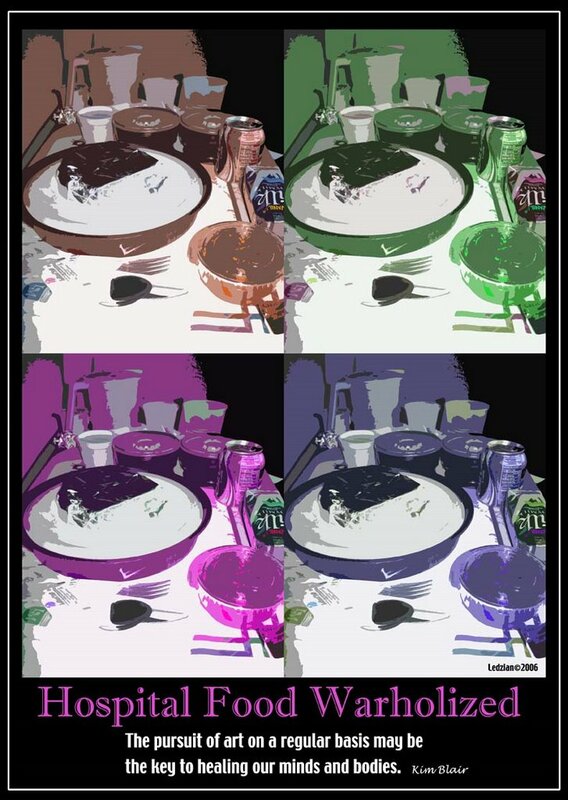 In this particular case, a hospital tray of •BLAH• food was transformed into an Andy Warholized poster which was taken one step further as a CONTEST! . . . . playing with one's food was definitely in order with this exercise.